Looking for a meatless dinner idea that doesn’t leave you hungry? 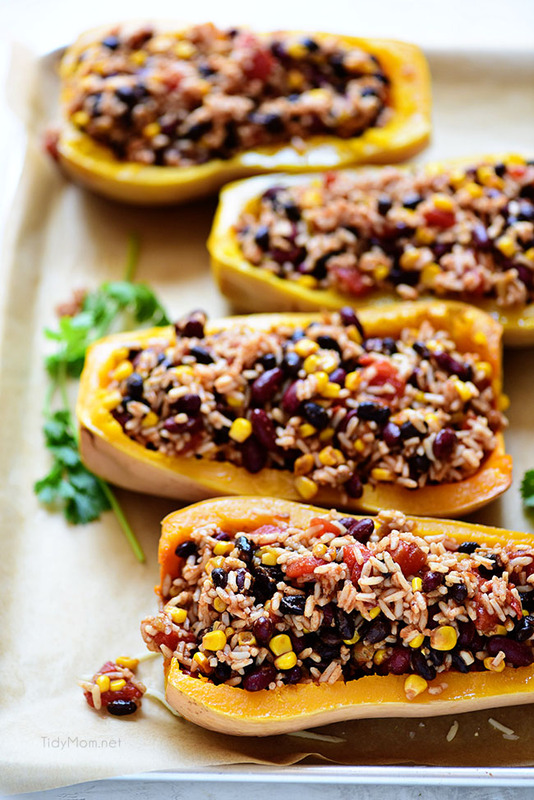 Treat them to this colorful and delicious Southwest Black Bean Stuffed Butternut Squash. The beans add protein so even the biggest carnivores won’t miss the meat. This post is written in partnership with BUSH’S Beans. All views, opinions, and love of beans are my own. Thanks for supporting the brands that I love and make TidyMom possible. 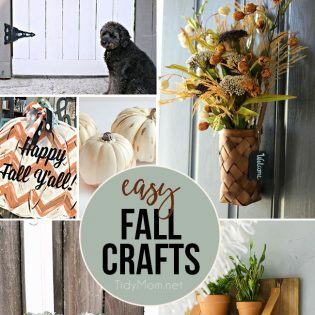 It’s just about Fall and that means it’s time for winter squash!! I didn’t grow up eating butternut squash, acorn squash or spaghetti squash. They were used for decorating, but I had no idea how amazing and healthy they were to eat! As an adult, I can’t get enough winter squash! Nutritious butternut squash holds the biggest spot in my heart and stomach. The flesh is full of vitamins A and C, and it has a naturally sweet flavor when roasted — the squash caramelizes in the oven and releases its natural sugar. The seeds are packed with protein and heart-healthy fats. Much like pumpkin, this seasonal squash can be baked, roasted, sautéed, puréed for soups, or mashed and used in casseroles and bread…… making it a sweet addition to many hearty dishes. 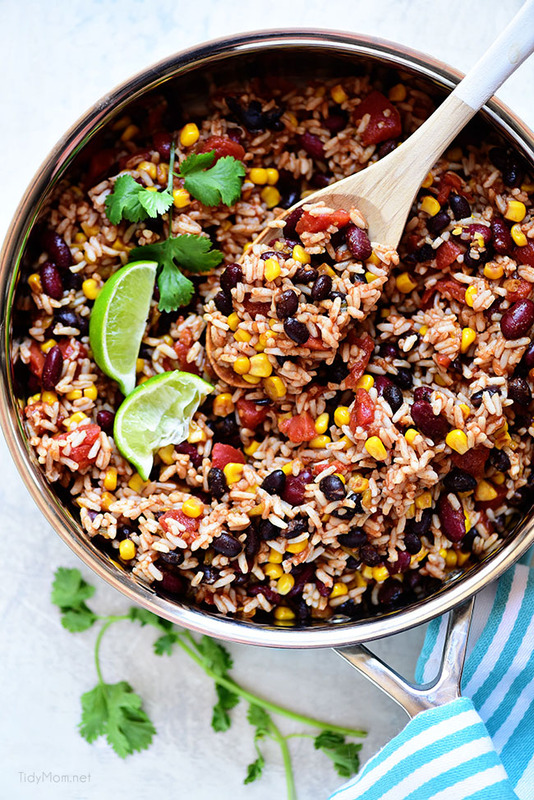 Add BUSH’S Beans to the mix and this dish is loaded with flavor, fiber, and protein! If you’ve been following my blog for any amount of time, you know about my love of cooking and baking with BUSH’S Beans!! 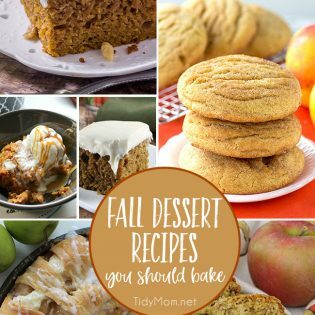 I like to add them to everything, from pumpkin chili to apple spice muffins. Today’s recipe is the epitome of Fall and makes a beautiful presentation that just shows you don’t always need meat to complete a meal. 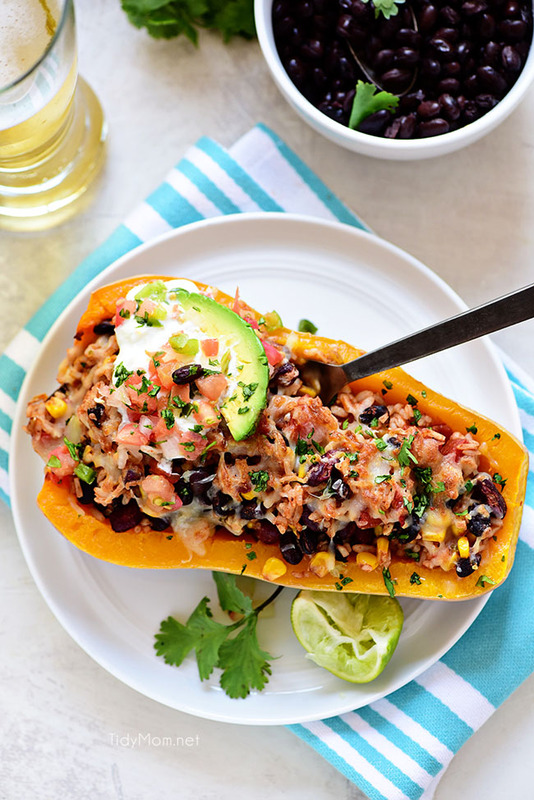 If you have die-hard meat-eaters (ahem, like my husband), Southwest Black Bean Stuffed Butternut Squash makes the perfect side dish to a meaty main course. It’s a great vegetarian option, that’s simple and DELICIOUS! My family has a love affair with spicy Southwest flavors and it gets even better when it’s stuffed in a sweet roasted squash. 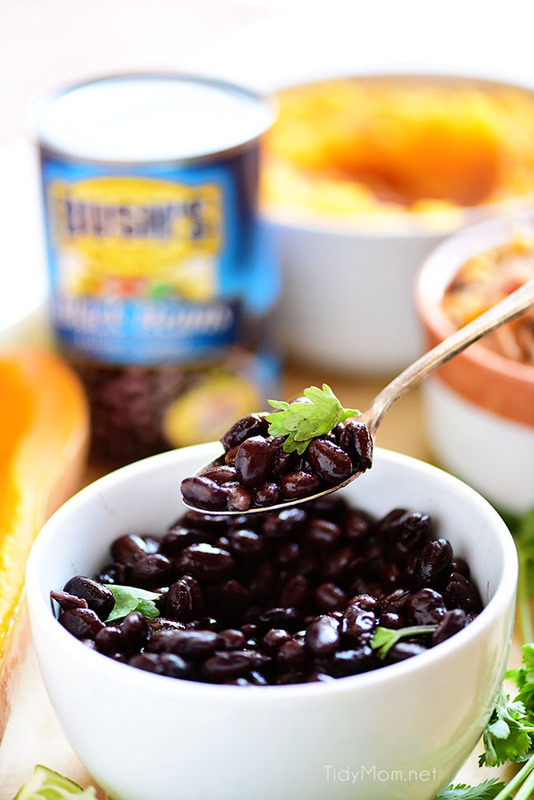 BUSH’S Black Beans add an earthy flavor and BUSH’S Dark Red Kidney Beans add a zesty flavor to the dish. If you’ve never had or cooked butternut squash it’s time to jump on that bandwagon! It’s really just cutting it open and throwing it in the oven to roast it until it’s soft. After roasting and the squash has cooled, you want to remove some of the flesh to make room for the Southwest filling. Again, using an ice cream scoop makes this step easy. Leave about 1/2-inch of flesh around the edges and bottom of squash. Place the excess flesh you remove into a bowl or airtight container to make something sweet with it!! It’s delicious warmed in a bowl with a little maple syrup or honey and cinnamon. Mash with a fork and add parmesan, olive oil, salt, and pepper for a quick side dish. Make a smoothie. Add butternut squash, a frozen banana, vanilla, cinnamon, dates, and almond milk to a blender. Blend and enjoy! Store leftover stuffed butternut squash in an airtight container in the refrigerator up to 5 days. To reheat place in a 350 degree F oven, covered, until hot (about 20-30 minutes) or warm in the microwave. While the squash halves are in the oven. You can cook the Southwest black bean filling. I added BUSH’S Black Beans and BUSH’S Dark Red Kidney Beans, sweet corn, diced tomatoes, green chilies and taco seasoning to a skillet and let it simmer about 20 minutes. Then added cooked white rice and kept it warm until the squash was ready. This dish can be customized for your likes and dislikes but overall it’s a nice mix of Southwest inspired flavors. Once the squash is cooled and the flesh is scooped out, generously fill the squash halves with the filling, top with cheese and broil until the cheese melts. I served ours with a squeeze of lime and some of our favorite toppings like avocado slices, sour cream, Pico de Gallo and fresh cilantro. 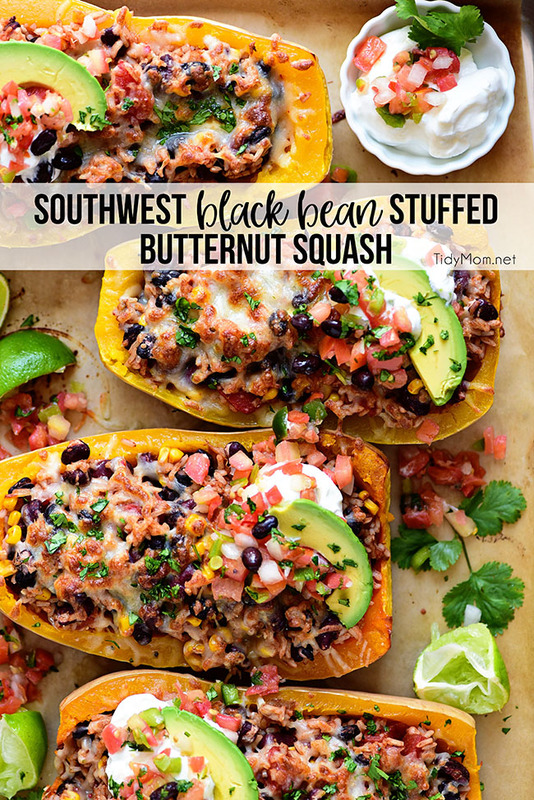 What better way to blend BUSH’S Black Beans with my favorite winter squash… Southwest Black Bean Stuffed Butternut Squash. Perfection! 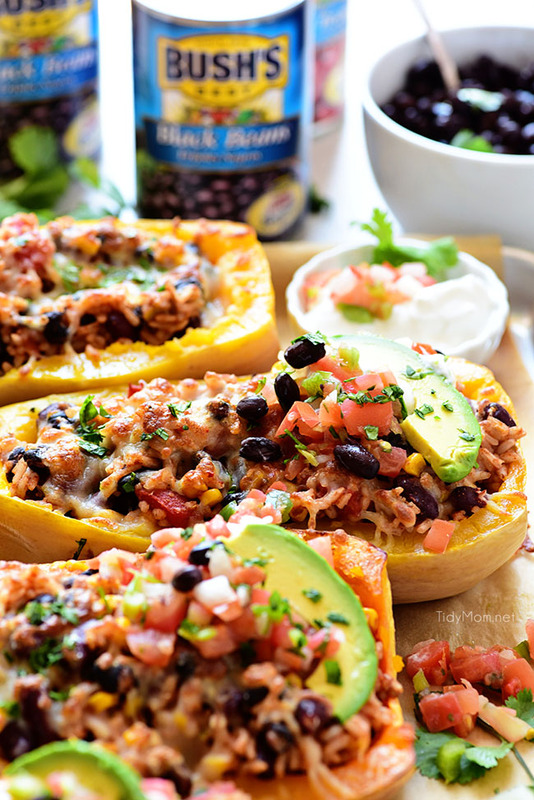 CHECK OUT HOW EASY THIS SOUTHWEST BLACK BEAN STUFFED BUTTERNUT SQUASH IS TO MAKE! WATCH THE VIDEO! The rind should be firm, smooth and unbroken with a creamy beige color (no green tinges) with stems still attached. To be sure your butternut squash is ripe, you should not be able to break the skin with your fingernail. Squash should feel heavy for their size. Bigger squash generally has more flavor. Avoid if the squash has soft spots, wrinkled skin or feels light for its size. Squash are amongst the longest keeping vegetables. Store fresh, uncut squash in a cool, dry place, such as a basement or closet, free of sunlight. In the right conditions, they can keep for three months or more. Store on shelves for air flow, avoid storing on the floor or stacked. Doing so can introduce moisture and prevent air movement. These can cause the squash to rot. Get to stuffing your squash and enjoy!!! Preheat oven to 400 degrees. 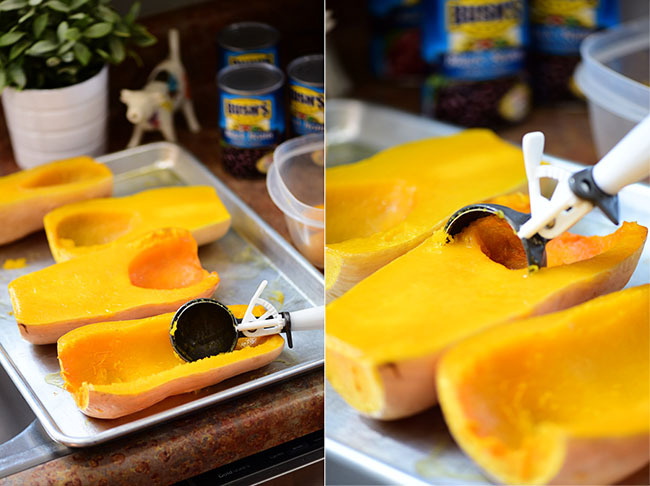 Cut the top and bottom off the butternut squash and slice in half. Leave the skin on. Scoop out the seeds, and rub/brush the flesh with olive oil and salt. Place flesh side down on baking sheet (you may want to line pan with parchment or foil). Roast until tender when pierced with a fork, about 45 minutes. Set aside to cool. While squash is in the oven, cook rice and prepare filling. 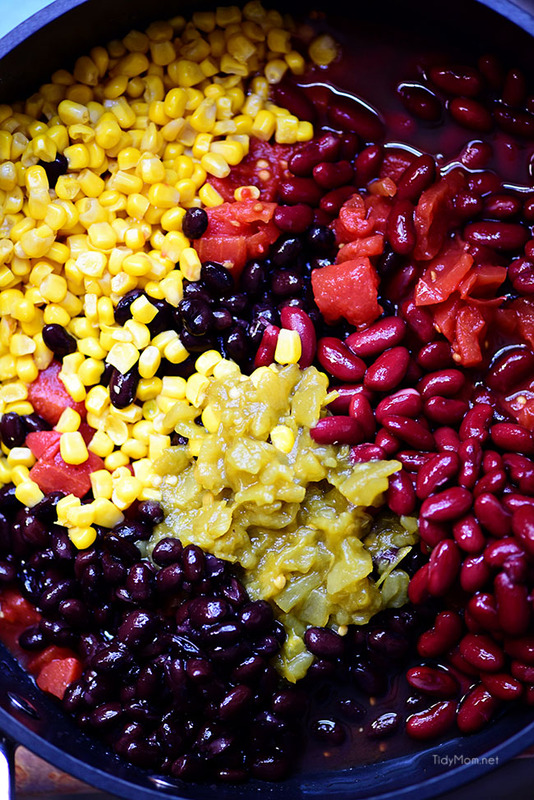 In a large skillet set over medium-high heat add beans, tomatoes, corn, green chiles and taco seasoning. Stir to combine and cook until heated through. Add rice, stir and keep on low until squash is cooked. When the butternut squash is cooked and cooled use an ice cream scoop or spoon to scoop out the excess flesh into a bowl. Set flesh aside and use in another recipe. 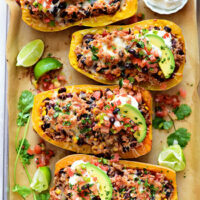 Generously fill the butternut squash "bowls" with the bean filling, sprinkle each half with cheese. Place under the broiler for about 5-8 minutes to melt and brown the cheese. Serve with sliced or mashed avocado, sour cream, pico de gallo and cilantro. Salt and pepper to taste. Time saver tips: You can cook the squash ahead of time or even cook squash halves in the microwave for 15-20 minutes. This looks soooo good, pinning to make soon!! Winter squash is my fav food on the planet! I cannot wait to try this for dinner! Such a hearty, healthy meal. My family loves black beans. 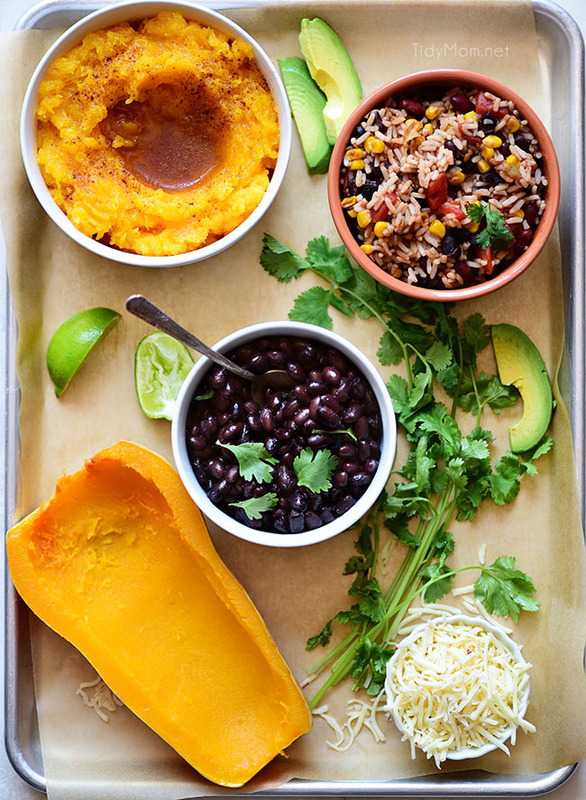 Who needs meat, when these gorgeous squash are chock full of so much goodness!? This is my kind of meal! These are just plain beautiful. 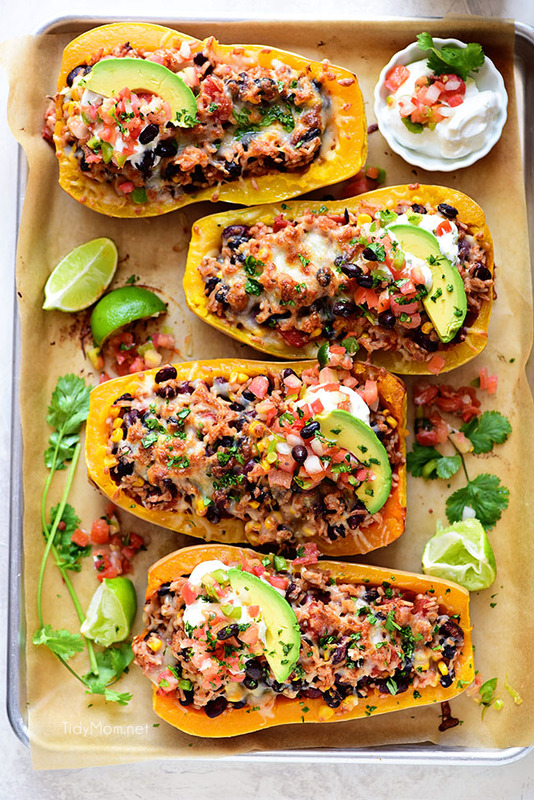 So much goodness stuffed into that squash! This is such a perfect dinner! Love these flavors! Wow, great idea! This looks so flavorful! I’m a calorie counter, any chance you know the calories?